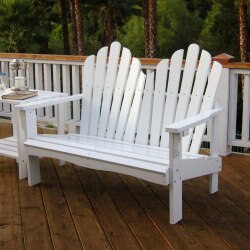 The first Adirondack Chair was invented in 1903 by Thomas Lee in Westport, NY and was originally called the "Westport Plank Chair." 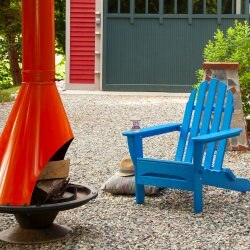 Lee had a vacation home in Westport, a small town on the West side of Lake Champlain at the foot of the Adirondack Mountains, and needed a relaxing chair for his family to enjoy in the outdoors. Thomas Lee showed his design to local carpenter Harry C. Bunnell, who was in need of revenue during the lean winter months. 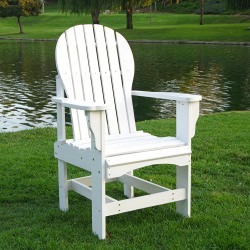 Bennell began manufacturing the chairs with great success, patenting the design shortly thereafter. Interestingly enough, this patent includes a cushion on both the seat and back, along with a very small and flat footrest. 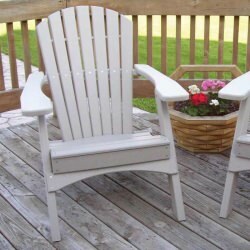 The Westport chair soon became known as the Adirondack through its widespread use in the Adirondack Mountain range, especially in sanatoria for tuberculosis patients. 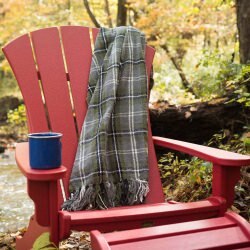 The chair was perfect for relaxing in the fresh outdoor breeze. 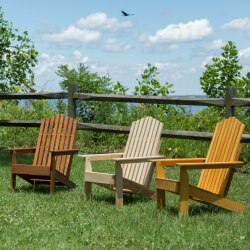 Other names for the Adirondack chair are "Muskoka Chair" and "Laurentian Chair," both named for the origin of their manufacturing. Changes to this design came rapidly thereafter. 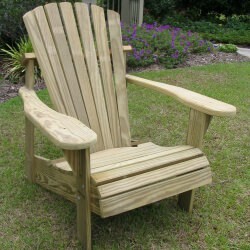 As the original knot-free boards of hemlock (a type of fir) became rarer, slatted backs and seats started appearing. 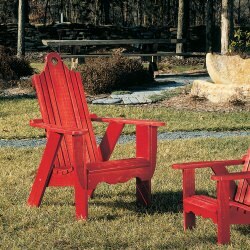 Contrary to today's model, the original Adirondack Westport chair had a straight seat and back support. 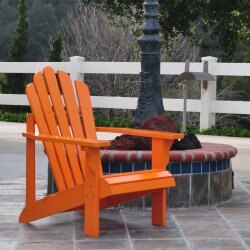 Nowadays, rounded and contoured backs are designed by skilled carpenters across the east and various new design features are appearing every year.